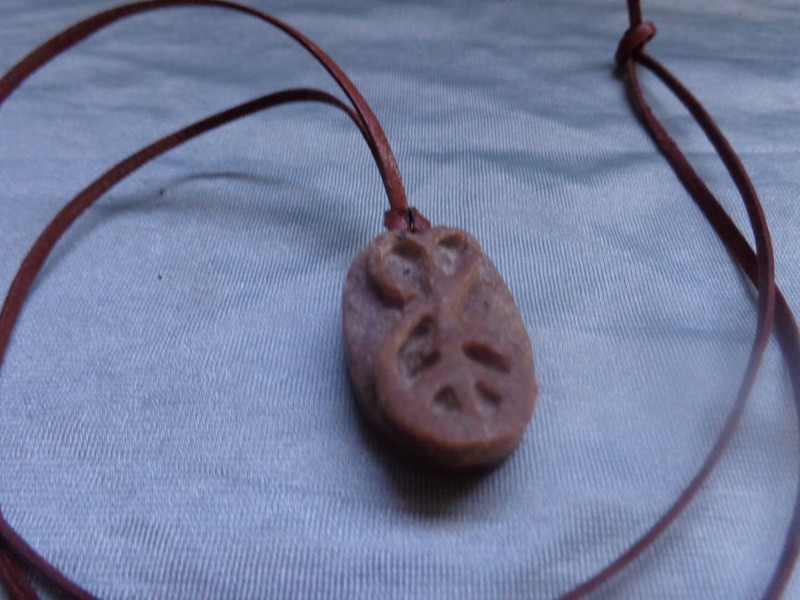 This hand carved brown soapstone pendant has the symbol for peace love and music. It is attached to a 24" brown leather cord necklace. Pendant measures .75" x 1.25"